Nico Rosberg has responded to fans' questions post-China, stating that he will "try to show respect" in the future after being accused of "crying." Rosberg took part in a video blog in the wake of Sunday's race and the subsequent spat with his team-mate Lewis Hamilton which followed into the press conference. Hitting out at Hamilton for driving selfishly, the German accused his team-mate of compromising his race. 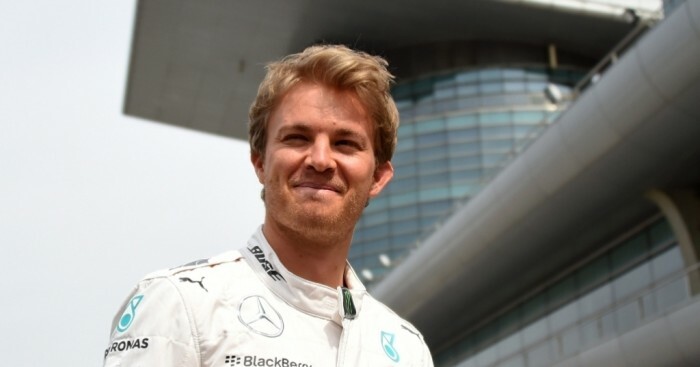 However, it's not just the reigning World Champion who didn't agree with Rosberg's assesment. Asked by one fan why "didn't you do anything about getting P1" instead of "only crying" about it, the German insisted he did try to attack but that it damaged his tyres. He responded on video blog: "You say that I was crying. OK, I respect your opinion, and I'll keep it in mind and I'll try to show respect when it's due going forward. "And why didn't I attack Lewis? I also understand why you're asking that, and it may not be so easy to understand from outside, that's clear. But the reason is, I did try to attack him in the first stint, and it just didn't work. All I did was destroy my tyres. "So in the second stint there was no point to try do that again, because this time there was Vettel right behind and it would have really risked my second place if I would have tried that, because I would have completely destroyed my tyres, again, and Vettel could have had a really good shot at overtaking me. "And my only chance of winning the race anyway, or to fight Lewis or try and overtake him, would have come at the end of the race, so that’s what I was building up to." Rosberg added that Mercedes had cleared the air after the race and that it was time to focus on the next grand prix, this weekend's Bahrain race. "It was definitely intense after the race, but we had a very good sit down, a good discussion," he confirmed "There was a lot of constructive criticism, and now for everybody it's a thing of the past and we're moving on to Bahrain."